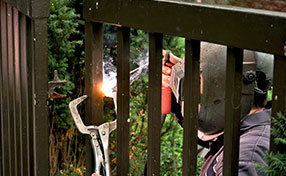 Here are practical gate repair tips from our experts. Read below. 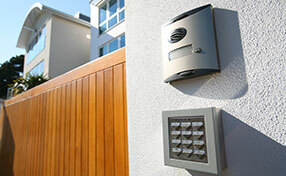 Choose the right wood gate and reinforce gate security. Find out how to handle squeaky gates! When picking the type of wood for your gate, it’s important to keep a few things in mind. First, the wood should hold up well to weathering. Your gate is going to be outside, and wood that reacts badly to weatherproofing is the wrong choice. The most important thing, according to experts at Gate Repair Castaic, is to pick a wood that’s warp-resistant. Gates can serve many purposes. There’s the aesthetic purpose, as a marker to define the line of your property, and there’s the security purpose, as a way to keep out unwanted visitors. Often it’s a balance between the two, as gates that are pleasing to the eye usually do not offer a high level of security. 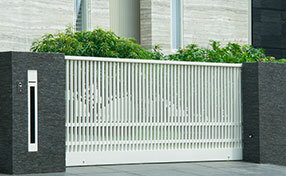 Choose which aspect is more important to you before you decide on a gate. Gate stops are a great way to prevent the gate from slamming shut and you also do not need to frequently adjust the hinge and the gate itself. They come in many sizes, so you can choose one based on the height and width of your gate. If the gate squeaks while opening and closing check the actuator arm that moves inside the cylinder. This will need to be lubricated using an appropriate non-petroleum based lubricant on the shaft. First wipe off any dirt and dust on the shaft before using silicon based spray or lubricant. Further, keep an eye open for damages to the electrical wiring, these needs to be repaired only by professionals, such as the ones in gate repair Castaic, and turn off the power completely before you do so. Accidents have happened to people, who tried to reach their control panels through their gate. The gate started to move, trapped them and dragged them along. For the avoidance of such horrific accidents, UL 325 recommends installing control systems 10 feet away from the gate.